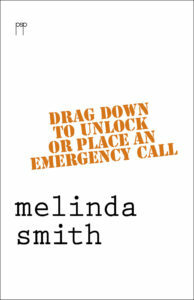 Readers of Drag Down to Unlock or Place an Emergency Call will be rewarded by a book full of unexpected and richly varied pleasures. There are poems with a lightness of touch, and a self-deprecating tone, but there are also poems that deal with more serious matters. There are skillfully rhymed poems, haikus and highly experimental free verse. From its range of technique and tone to its depth of ideas, imagery and emotion, this collection announces the arrival of a major new poet. Geoff Page, Sydney Review of Books. 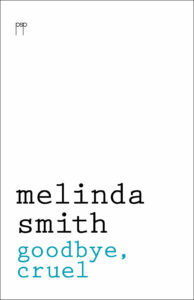 Melinda Smith won the Australian Prime Minister’s Literary Award for her fourth book of poems Drag down to unlock or place an emergency call (Pitt St Poetry 2013). Her work has been widely anthologised both inside and outside Australia and has been translated into Indonesian, Chinese, Burmese and Italian. She is currently poetry editor of the Canberra Times.